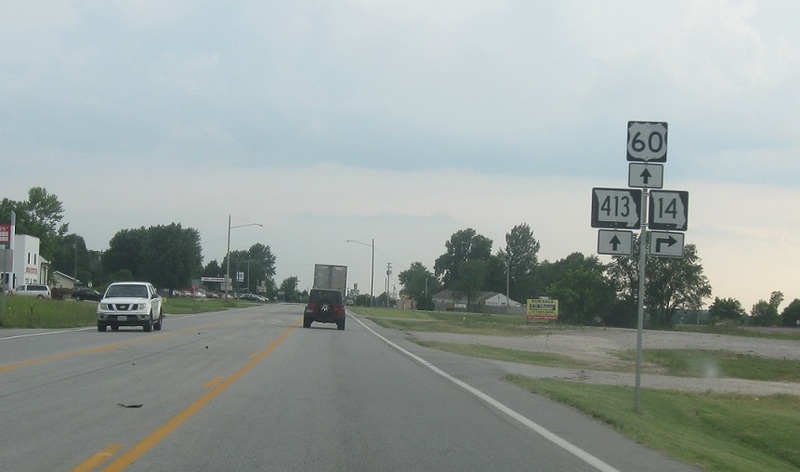 Reassurance shield for Missouri 14 only as it joins US-60 and Route 413. As we head out of downtown, 14 will split to continue west. 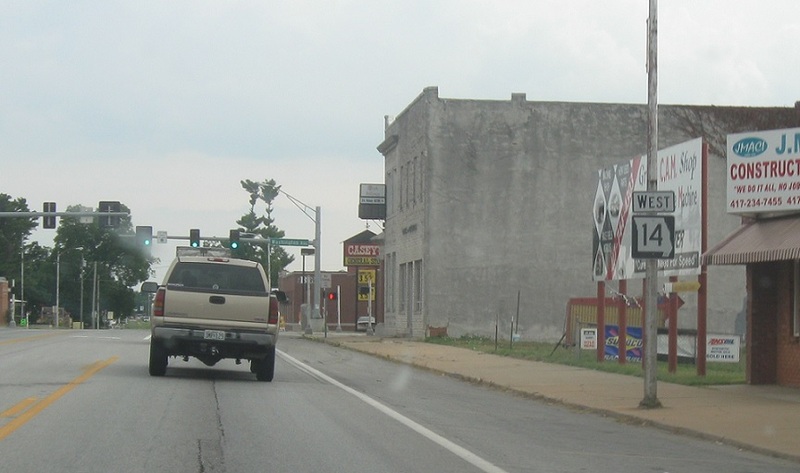 Turn right for 14 west, which takes a more roundabout route to Marionville. 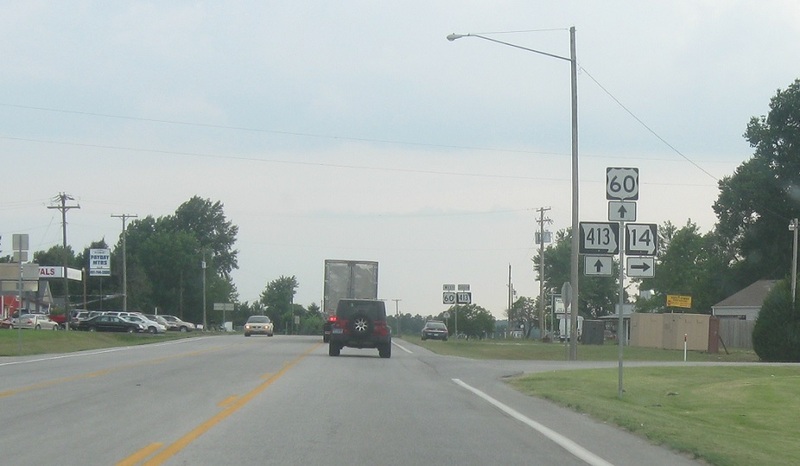 Stay straight to stay on 60/413 to head more directly to Marionville.